Hey everybody! 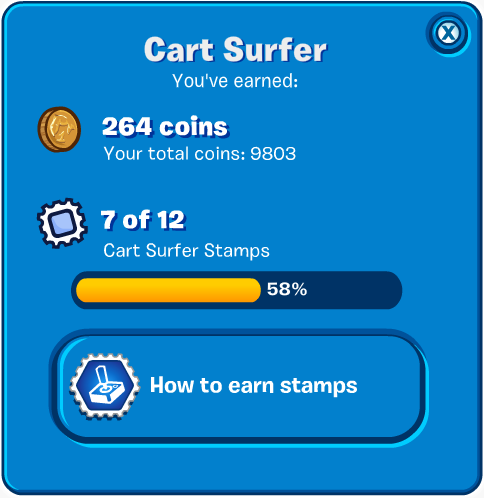 There are a lot of items we can purchase around the Club Penguin island. Sometimes it's in the furniture catalog or style catalog or something there's a special item you want at a party. The hard part is actually getting your penguin coins. 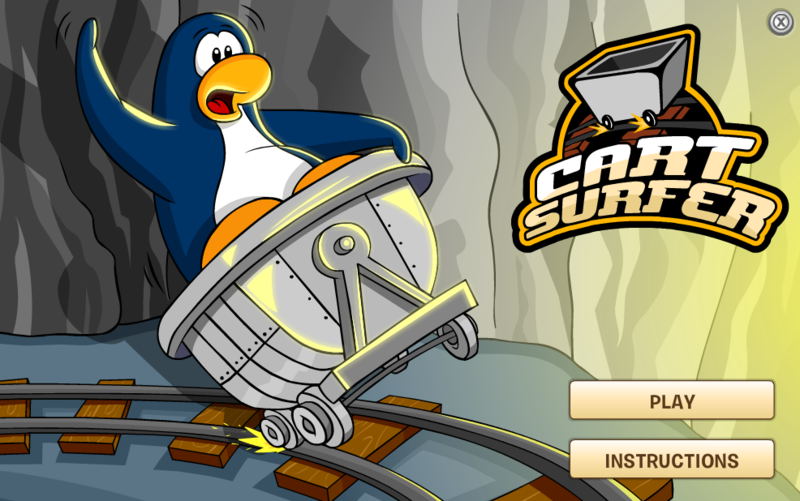 I have a cool trick in getting my penguin coins and I hope you find it as awesome as I do. Let's get started. 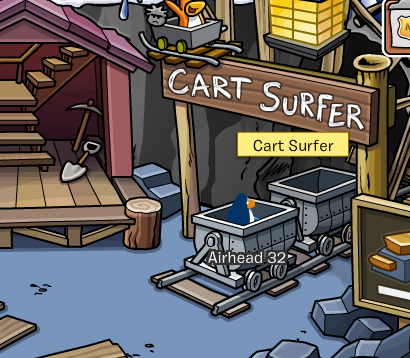 To start this off, make sure you go to the mine shack because the game we're going to be using to collect a lot of coins is called Cart Surfer. Go in and you'll be led to the Cart Surfer game title screen. If you don't know how play click 'instructions'. Once you click play you're going to need to hold your finger on the top arrow on your keyboard. Your penguin should be repeating the same trick over and over. 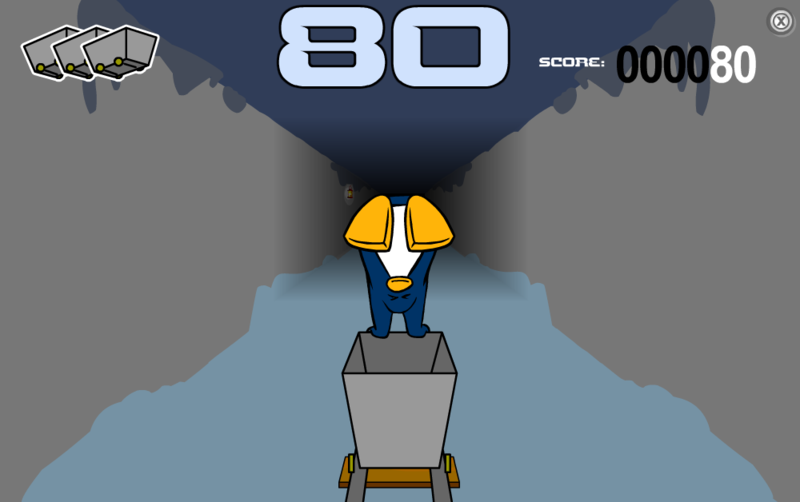 Repeating this same trick over and over will definately rack your penguin up with a lot of coins. Although we're cheating and getting a lot of coins, you still need to watch out for the turns in the game. When you see yellow arrows that means it's almost time to turn. Whichever direction they're pointing will be the way the turn is. Watch out! At the end, if you followed directions correctly, you should recieve about 200-300 coins! Do this a few more times and you'll be rich in no time! I hope my trick for getting coins helped you! Leave a comment and let me know how this cheat for coins helped you! Really? I think I'll make a page for Smoothie Smash next! 1. In the title page look above from where *PLAY* is written. 2. On the left of where the hot sauce is. 3. There in a small semi-circular shape the radar is towards where pizza is drawn. 4. Click on the red ball and it will turn in Candy Pizzatron 3000. Well this is also a way to earn more money. With this pizzatron you can get for 6 pizzas around 350-400 coins!! I appreciate that you have written to share tips and tricks for us to earn more gold. But, there is something that you have pointed out, and I would like to add on. "Once you click play you're going to need to hold your finger on the top arrow on your keyboard. Your penguin should be repeating the same trick over and over. 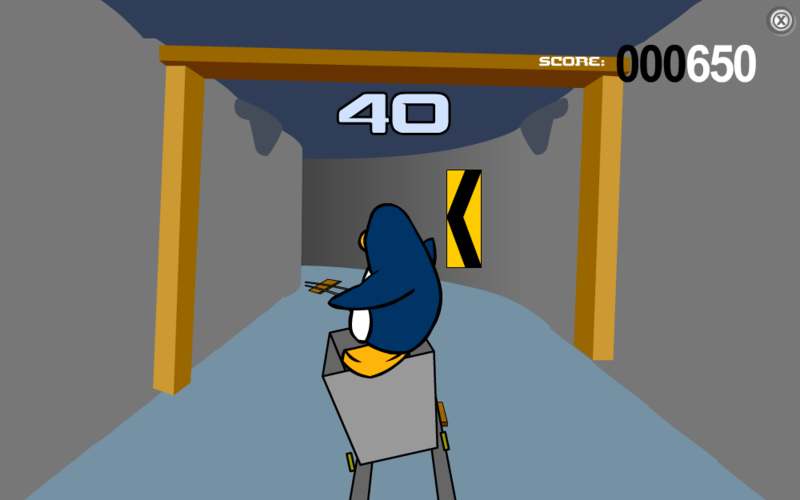 Repeating this same trick over and over will definitely rack your penguin up with a lot of coins." Firstly, this statement, yes, you could do tricks with the up button. However, the other three buttons also help with the tricks, for example, if I press down and jump, that's another trick. I think you already knew, but you had forgotten to add in. Secondly, repeating the same trick over and over again does not really increase the points, instead, repetition of the same trick decreases the points earned. This happens for me, but I'm not sure about everyone else, so I might be wrong here.